Alison Haas is originally from Pittsburgh, Pennsylvania. 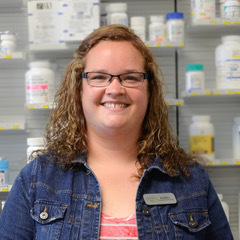 She attended Ohio Northern University where she earned her Doctor of Pharmacy degree in 2012 and met her husband, Brandon. Following graduation she completed her post-graduate training with Kroger Pharmacy and Purdue University in Indianapolis. Alison enjoys cheering on the Pittsburgh Steelers and spending time with family and friends. Brandon Haas grew up in Jackson Center, Ohio and the surrounding areas. He graduated from Waynesfield-Goshen High School in 2004. He attended Ohio Northern University where he earned his Doctor of Pharmacy degree in 2011 and his Juris Doctorate degree in 2012. Brandon enjoys cheering on the Buckeyes and spending time with Alison and their son Dan. 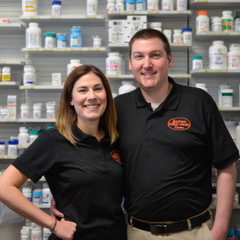 Brandon and Alison moved back to Jackson Center to fulfill their dream of owning their own pharmacy. 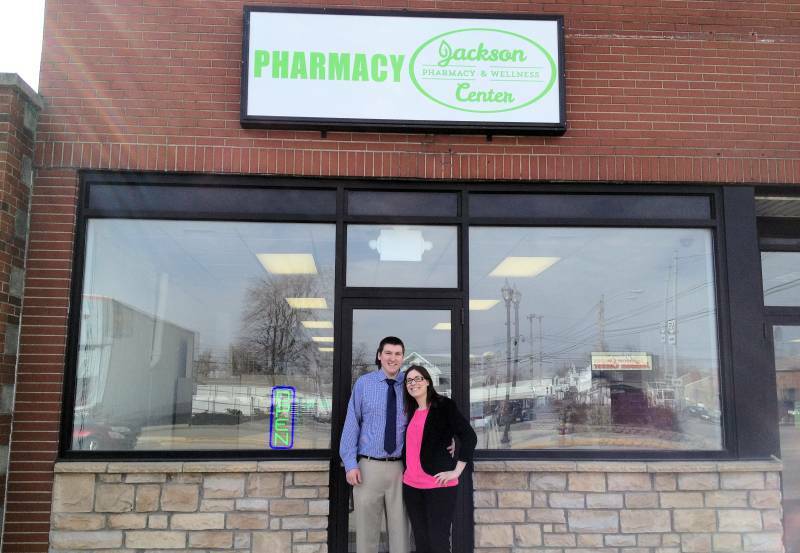 They opened Jackson Pharmacy & Wellness Center in 2014 and are thrilled to be a part of the Jackson Center community! Rachel Wells graduated from Jackson Center High School in 2000. 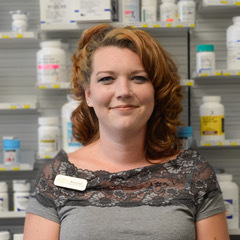 She has been a certified pharmacy technician since 2012 and a part of the Jackson Pharmacy team since 2016. She enjoys spending time with her two children, gardening, and attending Jackson Center sports. Kaitlin Underwood is a 2012 graduate from Botkins Local School where she participated in numerous extracurricular activities. She was named regional champion in the girls discus in 2012 and was a state participant for the Botkins track team. She also coached track for four seasons. Kaitlin has always wanted to have a career in healthcare. She joined the Jackson Pharmacy team in April 2017 and is a certified pharmacy technician. In her free time Kaitlin enjoys singing, hanging out with her family, evening walks with her friends, and catching the latest movie in theaters.